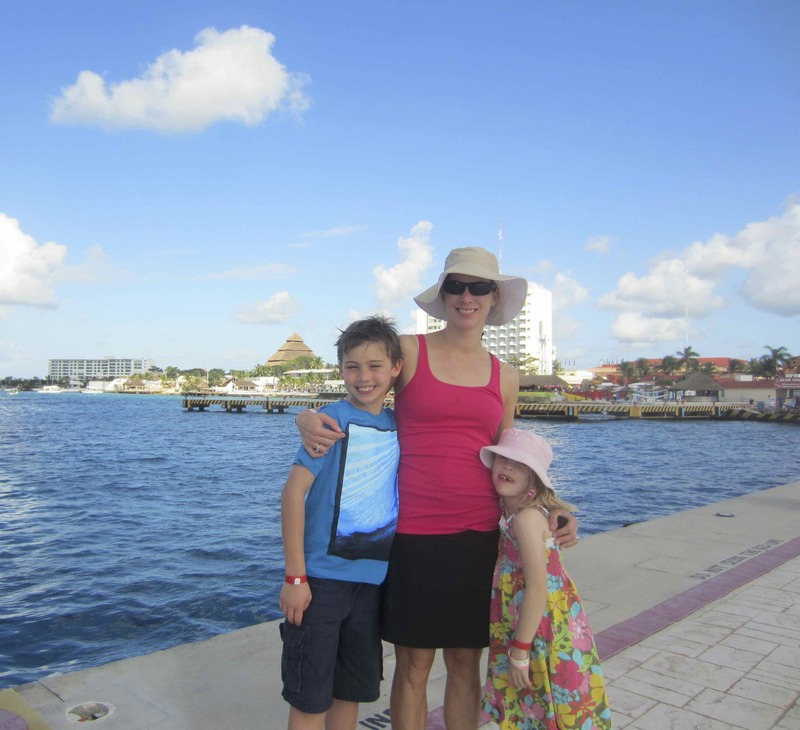 The third day of our Caribbean cruise was spent in the lovely Mexican island of Cozumel. 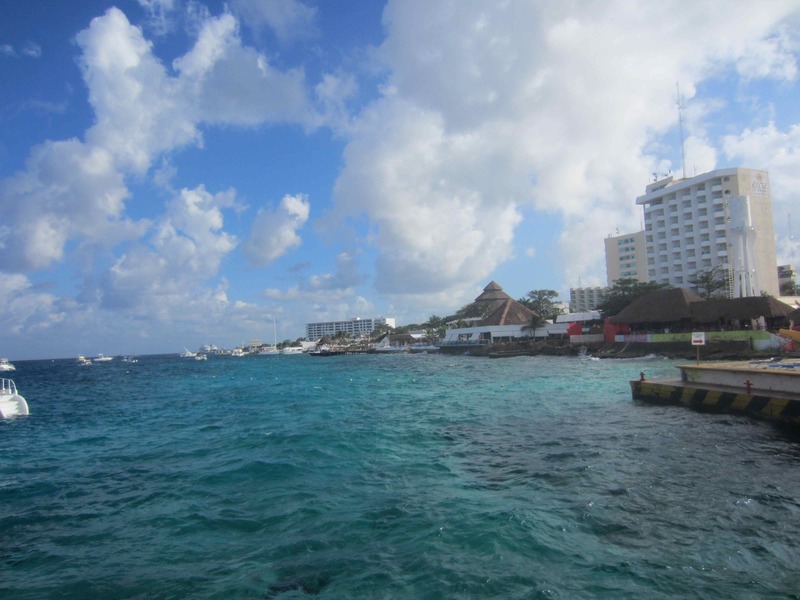 I have been to several parts of Mexico before as it is an extremely popular winter escape for Minnesotans however I had never been to Cozumel. 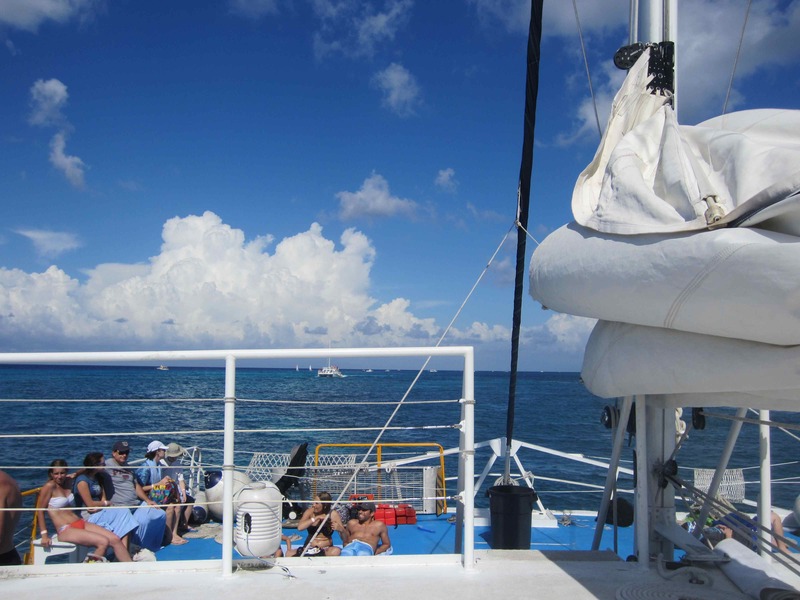 Once again there was an enormous variety of fantastic excursions to do in Cozumel ranging from visiting nearby ruins to spending a day enjoying the surf and sand. 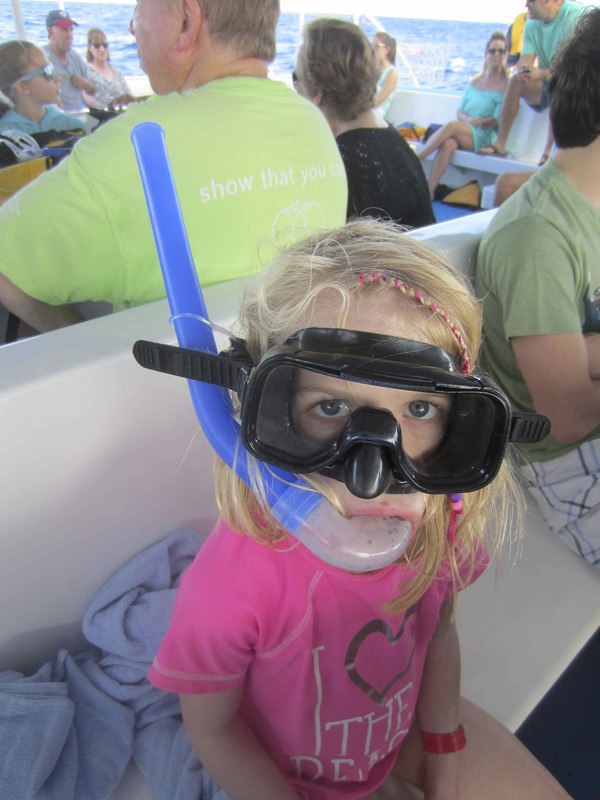 We selected to do a catamaran snorkeling trip to a kid-friendly beach run by Fury Catamaran, the tour outfitter we used. It was a fantastic day and we had a blast. 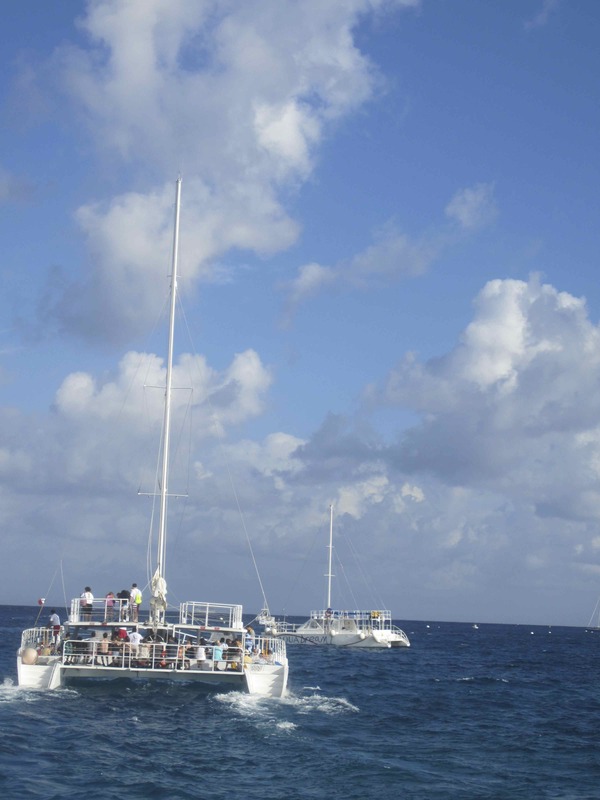 Cozumel is a popular port destination thus getting off the ship was easy and our 65-foot catamaran was waiting. 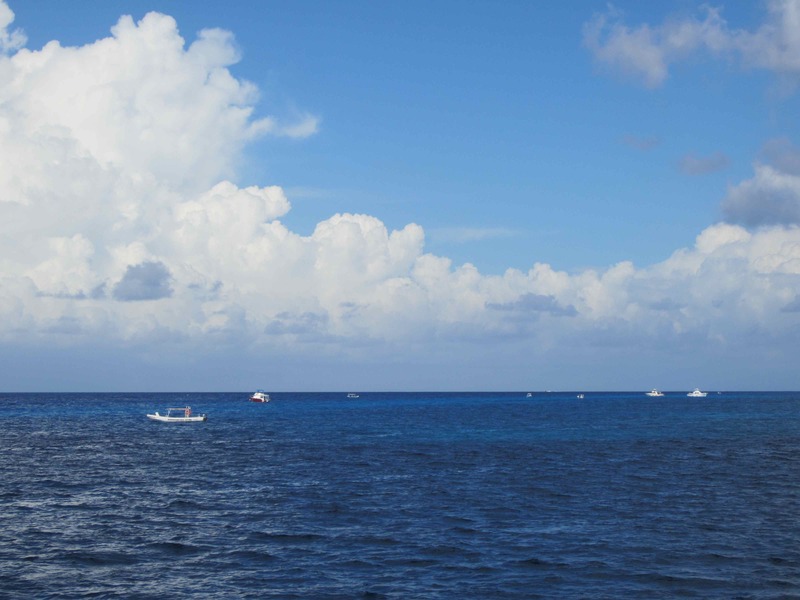 It was a beautiful ride to our snorkeling destination about twenty minutes away. At first glance, the snorkeling did not look like it would be good. It was right off the shore and not the gorgeous, picturesque small island reef around Rendezvous Caye in Belize. However, once inside the warm ocean water I was instantly impressed. It was sensational! Fish were everywhere and although the water was rough, visibility was still good. We snorkeled for about 45-minutes and none of us wanted to quit especially my nine-year-old son who had found a new passion. Max checking out his gear. I liked that the company provided life jackets for everyone as the water was very rough. Sophia is ready to go too. 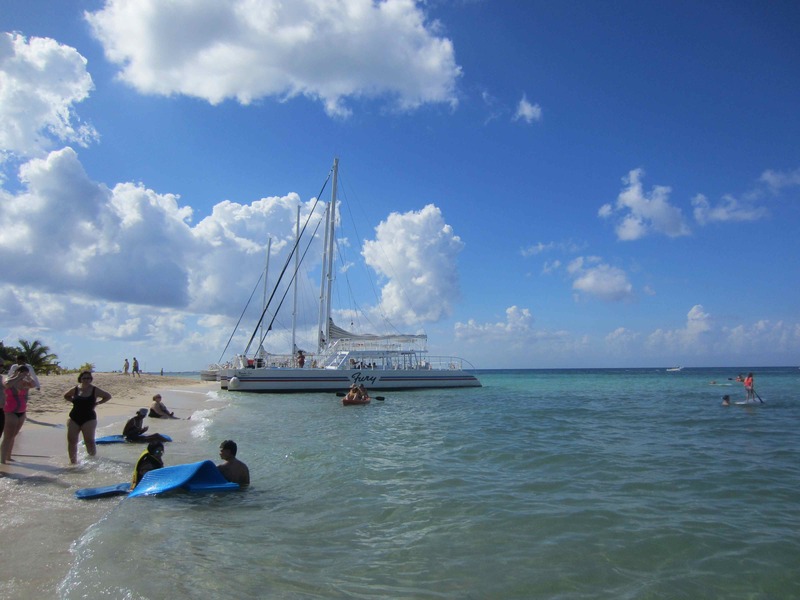 After snorkeling, we boarded the catamaran and sailed over to our own private beach for a few hours. 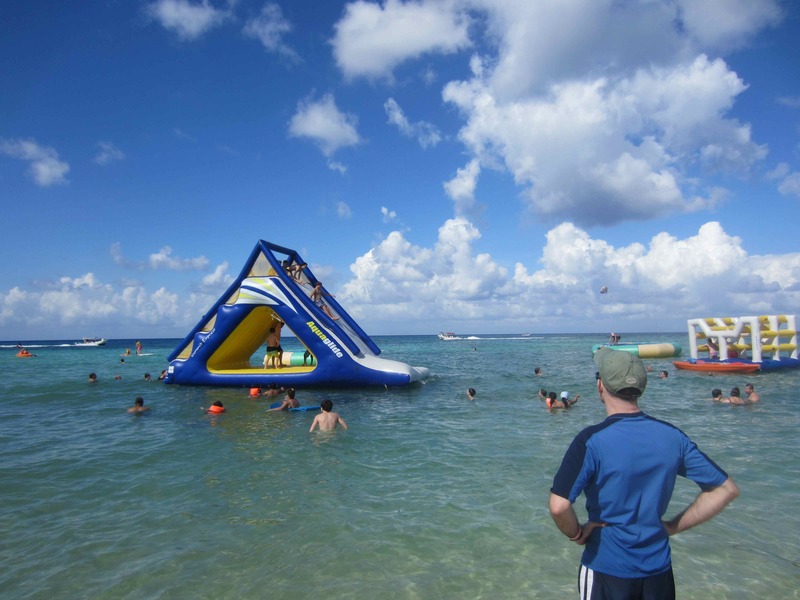 The beach was a child’s paradise as it had all sorts of fun inflatable slides and water toys that could have entertained them for hours. My husband Paul on the right keeps his eyes on the kids while I sneak a photo before going out to play. After the beach, we climbed aboard the catamaran and headed back to the ship dancing with the crew members and riding the big waves. It was a fabulous day! That night we even got a special surprise…..
Another part of your treasure trove of memories. Yes indeed. 🙂 Very special memories. I’ve been to several places in Mexico but never Cozumel. Looks gorgeous. My nephews would love that slide! Thanks Kathy! Mexico has so much to offer. I love Puerta Vallarta and have been to a lot of other parts of Mexico over the years. 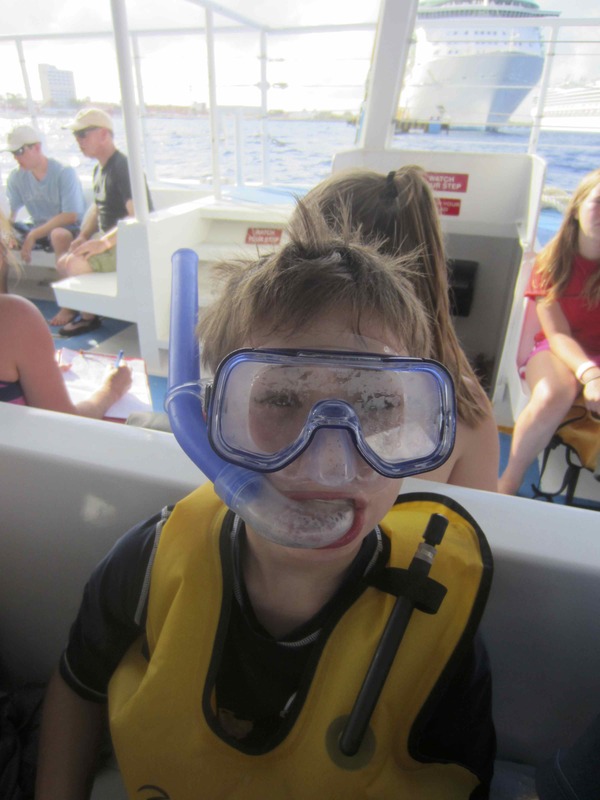 I love the photos of the kids with their snorkeling gear. Did they enjoy that part of the action and get to see some fish? Thanks! We all loved snorkeling and saw tons and tons of fish. We were in about 20 feet of water and it was nice that the kids were able to wear lifejackets since it was rather rough. Beautiful Cosumel. What a cool shot of the rainbow! Great photos! Thanks for finally getting me there….I didn’t make it while we were in the area in November. I am glad you liked Cozumel, you should visit Mexico more often it has a lot of wonderful places to go to. Love you pictures. Thanks! I have been lucky to have visited many parts of Mexico over the years as my grandparents lived on the border of Mexico and Texas. We used to drive all over the place. It is a huge country with so much to offer. 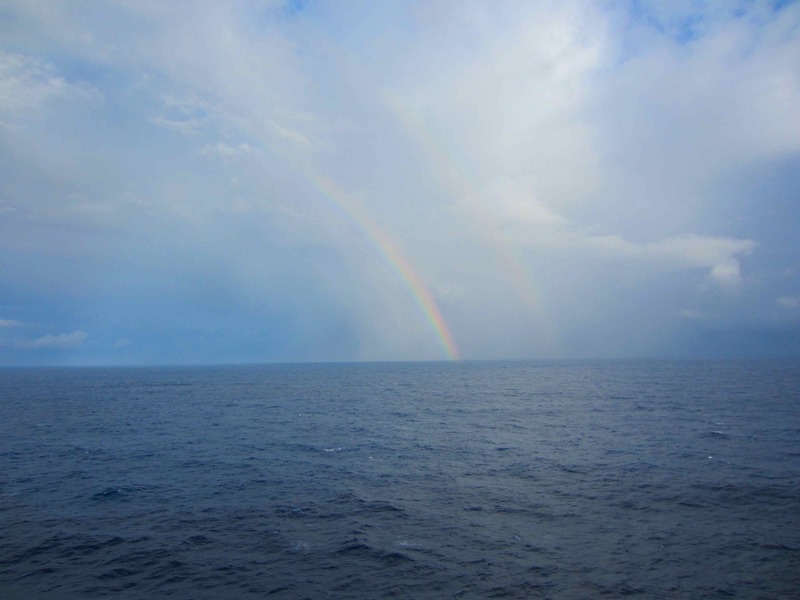 Cozumel is so beautiful 🙂 Love the photos and wow the double rainbow!! Thank you! 🙂 Seeing the double rainbow really made my day. I went to Mexico last year and stayed at the Grand Mayan Resort. I loved it, but my shoulders and back were burnt. We went zip lining, rode atvs, snorkeling, and sailed on a boat. Money well spent! Sounds like a wonderful vacation. I would really like to go and stay for a week. I have been to several parts of Mexico, Puerta Vallarta being one of my favorites. It is a warm culture. Thanks! That is hysterical! Why would someone say that? People are strange aren’t that but at least you thought it was funny! 🙂 She probably just wanted the necklace for herself!